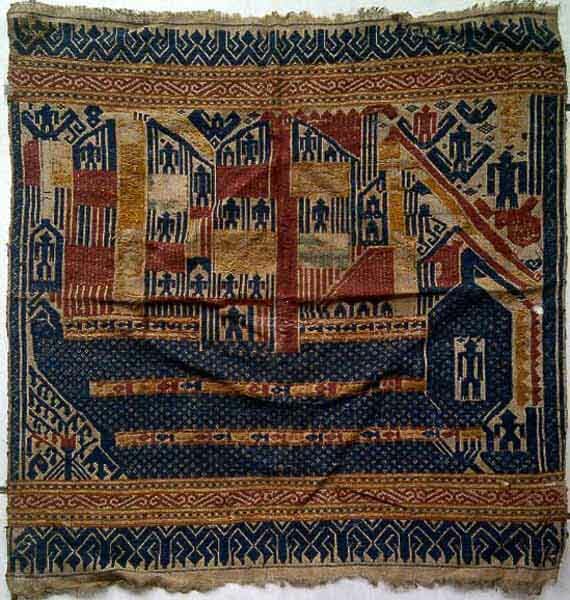 Montreal Oriental Rug Society has announced a lecture “Textile Palimpsests” by Jaina Mishra Saturday 25 October at 2.00 pm at Dawson College, Montreal. 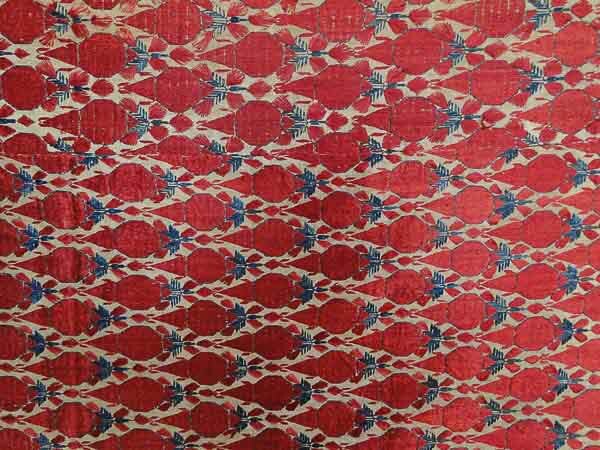 ‘When beholding a textile, it is often easy to get overwhelmed and awed by the beauty of the art and the complexity of the craft. 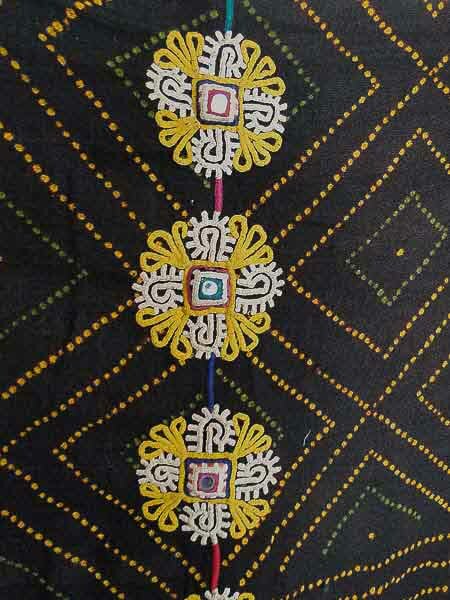 But beneath that visual beauty that strikes us first, lies the cultural story of the textile. In the case of some textiles this cultural story is as powerful as the art itself. 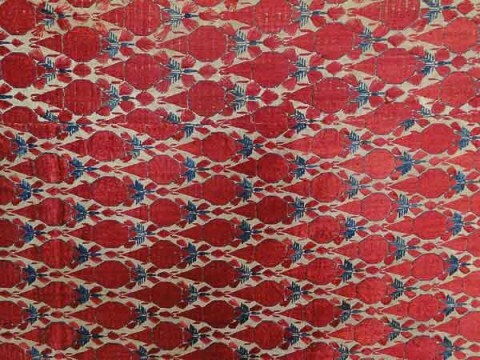 At this talk we will explore a few such textile palimpsests – the Tampan Ship Cloth of Sumatra, the Phulkari Bagh of Punjab, the Ludhi of the Rabari tribe and a few others’ said Jaina Mishra to Jozan Magazine. With a very rare motif of a Dutch Ship. ANTIQUE RABARI WOOL LUDHI SHAWL, HANDSPUN WOOL, HAND WOVEN, HAND DYED, HAND EMBROIDERED. ALL VEGETABLE DYES. Jaina Mishra is an avid collector of antique ethnic textiles and it is her passion for these traditional arts that led her to study the culture of the creators.